The program at Tollwood offers something for jazz, rock and pop fans alike. It’s one of those few really hot days in Munich this summer. I’m biking over to the Olympic Park to meet with a drummer, whom I’ve only heard on records and seen in online videos: Brad Webb. He must be quite a drummer, if he sits on the drum throne for Jamie Callum (JC) for seven years already. 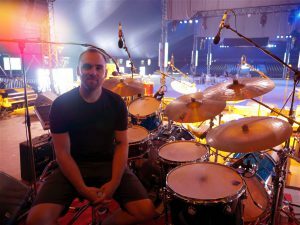 He also played with Amy Winehouse and has been a drummer and instructor for Blue Man Group – a show, which auditions I failed back in 2003. Anyway, I am very curious about a busy drummer I know so little about. 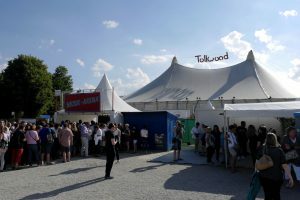 The Tollwood tent with a long queue in front. The Tollwood cultural festival in Munich is on every summer and winter. 25 days full of music, food and artworks. Well-known national and international artists perform in the Musik-Arena. That’s a big tent which fits about hundreds of people. While I missed ZZ Top, Jan Delay and Deep Purple, I got to see the indie band Beirut (stay tuned for my video post!). And now I am about to experience the energetic pianist and singer Jamie Cullum live for the first time – assumed drummer Brad Webb gets me in. 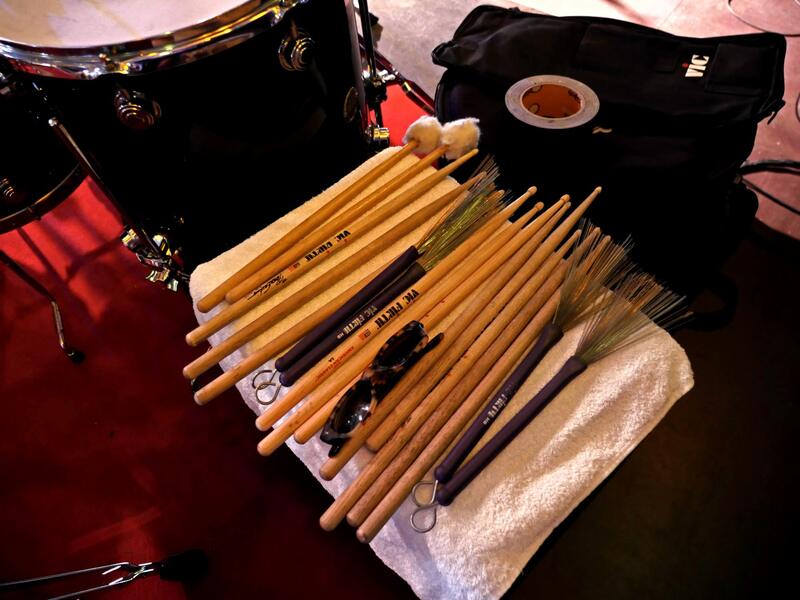 Brad became Vic Firth’s youngest endorsee when he was only 10 years old. Vic had a nose for talent. First of all Brad and I meet backstage, in a small patio with a beach chair. He is in a fantastic mood, very polite, easy-going and not in a hurry at all. Lucky me. While I’m experiencing some technical difficulties, Brad remains a true Englishman: “Keep calm and move on to take two.” In the end I get to ask all of my questions and receive the same number of answers. I am happy with the result, because I love to hear something I haven’t heard before. 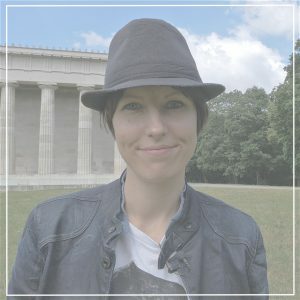 You might be familiar with the short profile of drummers in my videos. It’s the same questions for everyone, but there is enough room for surprises. And Brad surprises me with some names and thoughts. Answers can be seeds of inspiration – hopefully you’ll find some in this video, too. A drumhead says it all! Like his band mates Brad Webb is very sorry about the Brexit. Even though I decided to do a more regular interview with Brad, I didn’t want to miss having a look at his drum kit. Therefore I ask Brad, if we can quickly go on stage. Sure! 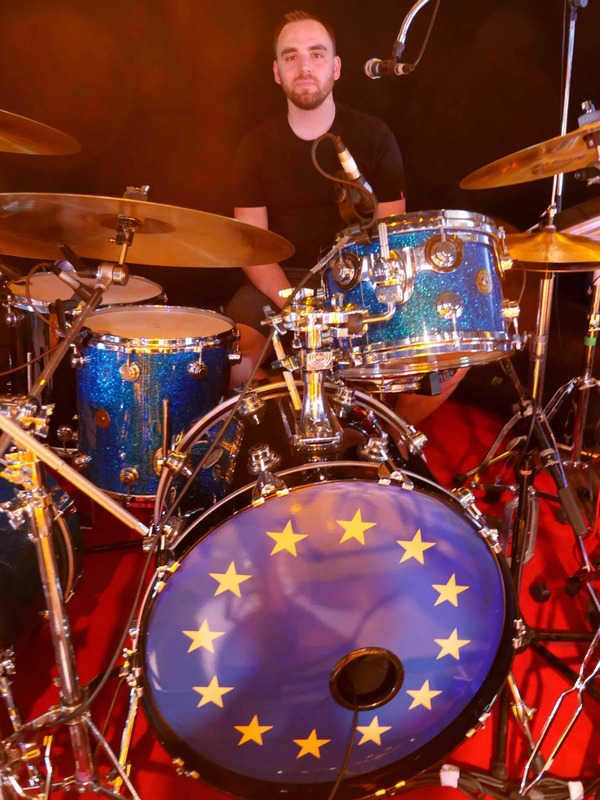 While I find some interesting things in Brad’s set-up, most noteworthy for him is his big bass drum front head – it has the flag of the European Union on it. Yes, this is the time after the unfathomable Brexit. Brad and his band mates are heartbroken about it and don’t hide their feelings. Thus the clear visual sign on stage. Furthermore Jamie Callum will take a minute to talk about how he loves Europe and how sorry he is for what just happened. To make a long concert short: I got in and it was great. 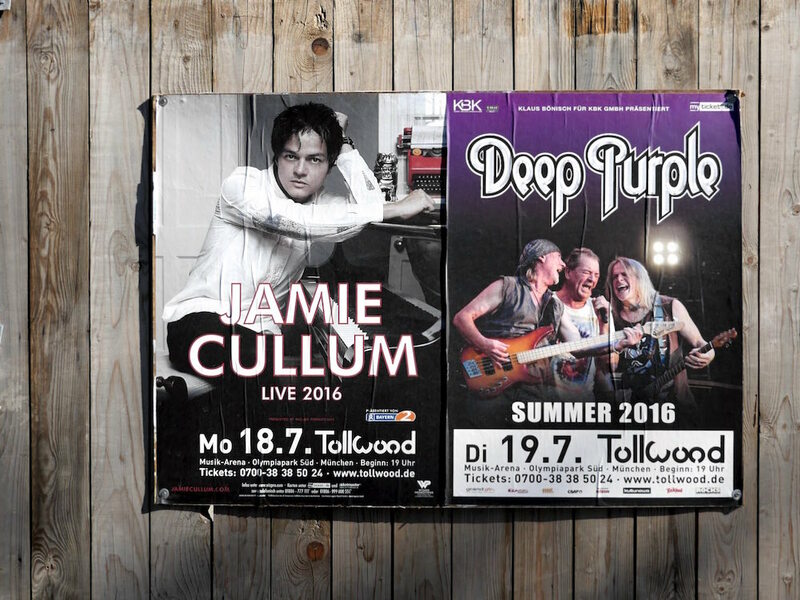 Jamie Cullum is a first class musician and entertainer. His drummer Brad Webb is a first class musician and the perfect side man. The show was diversified, energetic and high-class. The band seems like an old, well attuned team. I really dig Brad’s touch and dynamics on the drums as well as his musical choices. Now I’m even more curious about his own electronic project Arch Birds. Have a first listen on soundcloud or bandcamp, too. Brad’s set-up allows jazz and pop sounds as well as electronic effects from the sample pad. 1) JC seems to love rhythm, drums and percussion. During the second song of the show at some point all five musicians on stage are drumming. Who had the idea for that? 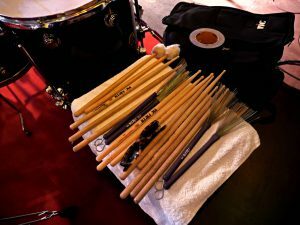 2) Are you teaching your band mates playing drums and percussion? Great tambourine playing of the guitar / trumpet player and what a great job of your saxophone / clarinet / piano / glockenspiel player and drummer. Meet Brad Webb and enjoy the video.